When I first started working on virgin drinks, at the beginning of the summer, I made a bunch of drinks that existed online, to see what had been done, what I liked, and what concepts were out there. I found a site called The Kitchn where they discussed three amazing non alcoholic drinks served at a restaurant in New York called Eleven Madison Park. Now I am on the other side of the continent from New York, and much more north y’know. So of the three drinks, only one used ingredients that I could find in my local store – or heck anywhere close by for that matter. This drink was called the Elixir. Using my pre-created syrups, some fresh mint from a friends garden and one additional syrup that I made for the drink, I whipped up a batch and served it to my family. Kids, adults, the whole lot of us all loved it without exception. Here is the link to the recipe for Elixir. Thank you to Sam Lipp of Eleven Madison Park’s who shared these creations with The Kitchn’s team who shared it with the world. Go check it out for yourself here! Simplicity: 4/5 Two syrups to make, but not hard to whip up. Ingredient finding: 5/5 Even up north we can enjoy this New York taste. 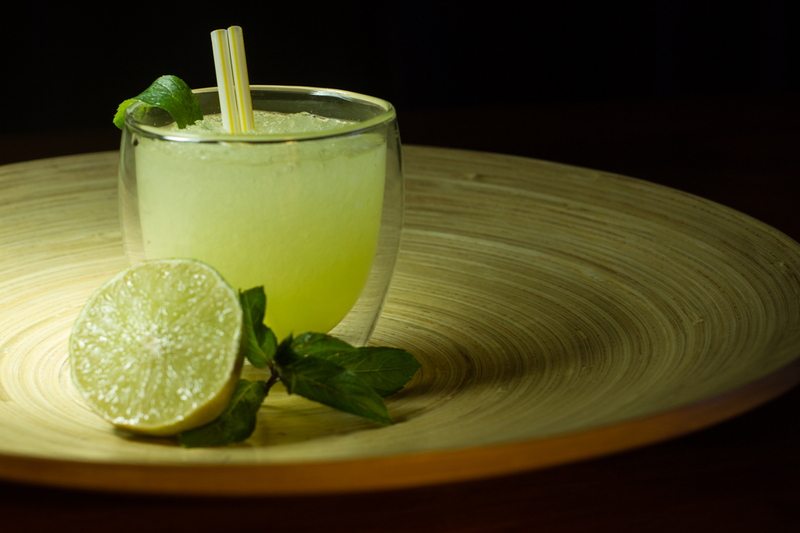 Posted on November 9, 2014 October 29, 2014 by orionssong	This entry was posted in Cocktail, Drink Review and tagged citrus, ginger, lemon, mint. Bookmark the permalink.